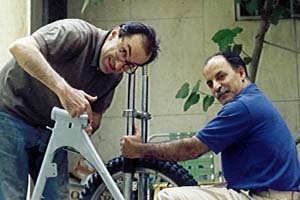 Ali Parsa and Behrouz Ziaii doing restoration job. We are puting grease in the body to prepare for front wheel installation. I did a test trip with the Alpina to north of Iran in October 2000. This was a 400+ km solo trip and the Bul worked fine. 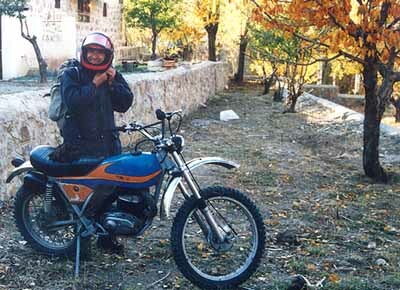 The picture shows me in front of Tezi Boroumand's villa in Shemshak, on my way back from the trip.